Two years ago today, Japan was ravaged by a horrible tsunami. And now, right on the anniversary of the disaster, there's a new memorial to the people and things who lived through it: the "miracle tree" that survived the surge has now been converted in a sculpture. When the surge hit the coast in Rikuzentakata, the 88-foot monster was the only one of a forest of nearly 70,000 trees to survive and remain standing. Months later, the pine eventually died due to its newly barren surroundings, but not before it could be chopped down and have its trunk dismantled for preservation. 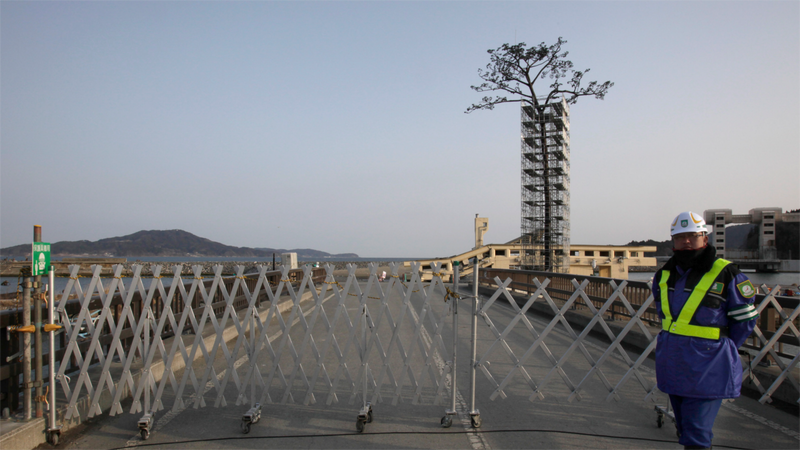 Now, a fortified sculpture consisting of the remaining pieces, augmented with fake branches and leaves molded from the original placed on top, has been installed at the tree's tsunami-worn home.